It’s our columnist’s favourite kind of event: you get to eat great food and sip sublime wines while raising money for charity. EVER wondered how the European kings of old used to live? Well, last month, for one night only, I managed to get a taste of wining and dining like royalty in Piedmont, where Italian royalty once held court. I was invited to attend the Asta Del Barolo, a yearly wine charity auction event of the Academy of Barolo. For one enchanted evening, together in the company of a few other journalists, I dined at the 1-star Michelin rated Guido restaurant, set in the cavernous hunting lodge that used to belong to a king, in the town of Pollenzo. The wines poured were no less noble: Barolo, “the wine of kings”. This right royal tipple is a red Denominazione di Origine Controllata e Garantita (DOCG) wine produced in the northern Italian region of Piedmont. It is made from the Nebbiolo grape and is often described as one of Italy’s greatest wines. What was Barolo’s pedigree I wondered? I discovered that until the mid 19th century, Barolo was actually made into a sweet wine from the Nebbiolo grape. Later a Frenchman decided that the versatile grape would make a better dry red wine. This version of Nebbiolo appealed to the gentry’s taste buds and soon it became a favourite of the ruling House of Savoy, the nobility of Turin. Today, Barolo is the most famous wine of the Piedmont. It also has the distinction of being one of a handful of wines that are considered to represent the finest wines of Italy, and even the world. So, what does Barolo taste like? Made from the late ripening Nebbiolo grape, Barolo has aromas and flavours of dark cherries, tobacco and tar. Moreover, most Barolos have strong tannins and are prized for their ability to age for decades. To the general drinker, however, Barolo wines may at first seem straightforward, being made from only one variety of grape that is grown in one region. On deeper reflection, one will observe that the wine has many facets to it. This is because the sensitive Nebbiolo grape picks up all the subtle nuances of the soil’s character and the vineyard’s microclimate (terroir), which I will touch on later. Generally, expect a glass of Barolo to be complex, layered and with a depth of flavour. There are 11 communes in Barolo. In the 500m altitude communes of Serralunga and Monforte, the wines are medium bodied. At the 300m high communes of Barolo and Castiglione, they are rich and bigger bodied. The soil the grapes are grown in also influences the wine. Grapes grown in calcerous type soils tend to be fruitier and age a little quicker. Conversely, vines grown on sandstone often result in wines with a bigger structure. But it doesn’t end there. Within each commune are dozens of terroirs/single vineyards. Each vineyard may be shared by a number of producers. Each producer goes about interpreting the fruit of the land his/her own way. Wine connoisseurs describe two major styles of Barolo: modern and traditional. Traditional Barolo is made by macerating the wine with skins and seeds for two months then ageing it in big casks for many years. What you get from this method are hugely tannic and chewy wines that are best enjoyed after 10 years of further ageing in the bottle. The modern style is made from riper fruit. It is also aged in small barrels that impart a vanillin sweetness to the wine. This sweetness gives the wine a creamy, fruity and New World-ly taste. Lately, though, many producers have chosen to style their wines in the middle ground. The grapes they pick are ripe and they employ both modern and traditional techniques. Their resulting wine also tastes different, without overpowering tannins but instead with some subtle overtones of barrique-aged (barrel-aged) wine. In Guido’s hallowed halls, 11 wines from the excellent 2006 vintage were showcased. The vintage is characterised by a very warm July and some rain in September, which resulted in a crop of perfectly healthy grapes. The wines were aromatic, fruity, spicy, balanced and long finished, sure to please even the most discriminating of palates. Azelia, Barolo Margheria – smokey with chocolate, nuts and burnt butter overtones. Conterno Fantino, Barolo Mosconi – powerful wine with aromas and flavours of herbs, pea flower, tea, and spice. Damilano, Barolo Cannubi – sweet red fruit flavours with tobacco and vanilla nuances; sticky tannins and a long finish. Franco M. Martinetti, Barolo Marasco – quite developed with meat and leather; velvety tannin with grip and a lime tang on the finish. Gianni Gagliardo, Barolo Preve riserva – bright fruit aromas including cherries, fine tannins and a good balance. Michele Chiarlo, Barolo Cerequio – floral bouquet with red-black fruit and good balance. Monfalleto Corsero di Montezemolo, Barolo Monfalleto – sweet fruit core, flavours of molasses and meat, structured tannins and a dry finish. Paolo Scavino, Barolo Bric del Fiasc – floral aromas, medium bodied with a fine texture. Podere Rocche dei Canzoni, Barolo Vigna Cappella di Santo Stefano – rich, hefty wine with stewed fruit and lightly chewy tannins. Poderi Einaudi, Barolo nei Cannubi – sweet entry, velvety texture, rich, round finish with a lingering taste of red and black fruits. Vietti Barolo Castiglione – Bright fruit with mint and orange peel nuances; grippy tannin. What I enjoyed most about attending this auction, besides the amazing wines, was the fact that the money raised goes to charity. Last month’s auction raised ‚39,320 (RM173,008) and will be donated to the Don Bosco (hotel) School of Sihanouk Ville in Cambodia, which provides orphans and underprivileged children with shelter and education. All 36 lots of the vintage Barolo were sold, with the highest bid going to the commemorating lot of 12 bottles of Barolo 2006 vintage. 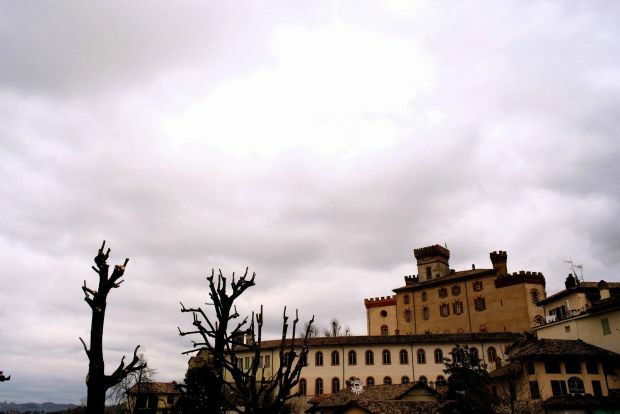 The auction was conducted in Barolo Castle by the Academia del Barolo with Internet-video links for bidders in Hong Kong and Singapore. If you’re interested in attending this auction in the future, go to wellcomonline.com to contact the organisers.